A body of one of the most infamous and reviled kings in British history, long thought lost in the mists of time, is discovered buried under concrete centuries after his death. Conspiracy? Cover-up? It sounds like the beginning of a Dan Brown potboiler. But no– it is England! Now! The discovery of the body of Richard III and his ceremonial reburial in Leicester this week is a very rare and interesting event in British history. For one thing, it is an event in British history – when was the last time we could witness that? In the compressed, condensed multimedia dirge of modern British political culture this counts as Officially Interesting. But why is it so interesting? The first thing we can point to is that it brought the ancient, bloodthirsty, violent and turbulent age of pre-modern Britain back to life; something happened that belonged to the middle ages but which actually happened in the twenty-first century. It's difficult to think now that the soil of England, which has barely seen anything but sporadic bloodshed over the past few hundred years, was the scene for waves of wars, coups, invasions and political instability. It's a culture shock which – removed by centuries – is escapist and almost romantic. Kings are buried beneath the car parks of provincial English cities – no, really! It is also interesting due to the fact that it represents a development; it represents something new. What we thought were the circumstances surrounding the disposal of Richard's body were incorrect. It was a historical finding of great importance, and there haven't been many of those recently. What is also fascinating is how the old links between church and state in England, having been secularised and modernised for much of the past decades, can swing back into action like a sleeping spy upon hearing the code word. Ceremonies of reburial such as we are seeing this week in Leicester are not things that tend to be standard fare for the state in 2015. It is also important to note how important is was considered not to skimp on the pomp nor circumstances for the reburial of a man who died over 500 years ago. However, the two most prescient points are regarding Richard the man. The process of excavation, analysis and reburial have led us to re-evaluate the man who has been a byword for English villainy since his defeat. 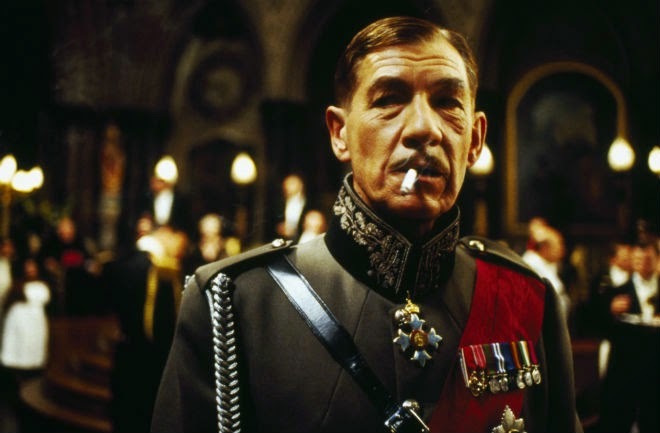 We have few genuine, universal hate figures of authority in England – Cromwell or Thatcher spring to mind, but even they divide rather than unite; we would have to look at a Chamberlain or a Richard III to find someone so universally reviled (and I can write that even as an avowed republican). The man we now see emerges as more complex and maligned, and the very patrician façade of classical British history appears to be de-stuffyfying as we speak. And finally it shows us that these revelations from the past change nothing at all; the complicated process by which reality is created rolls on, regardless of whether we correctly judge what is happening. If the continuous narrative of British history was to change by dint of new evidence we would encounter nothing but mass shrugging of shoulders and washing of hands. That, though, is the risk of leaving others to make your history – so undertake your own archaeological dig, and discover what secrets you hold.